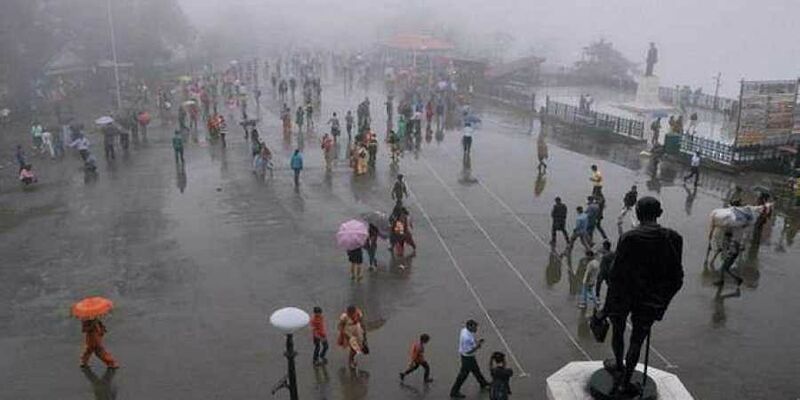 The meteorological department has said the onset of the monsoon is likely on October 8 in view of the favourable conditions. CHENNAI: The meteorological department has said the onset of the northeast monsoon is likely on October 8 in view of the favourable conditions. Already, IMD has hinted of an active NEM with the forecast of 12 per cent surplus rainfall. Compared to last year, NEM this year is arriving at least two weeks in advance. Normally, the onset of the monsoon takes place over coastal Tamil Nadu by October 20 after the withdrawal of south-west monsoon. In 2017, due to the extended southwest monsoon activity, the withdrawal was only around October 25. Meanwhile, on red alert, S Balachandran, Deputy director-general of meteorology, Regional Meteorological Centre, said there was no need for the public to panic. Isolated spells of extreme rainfall may occur only in ghat districts. “For Chennai, the sky condition is likely to be generally cloudy. Light to moderate rain coupled with thunderstorm activity is likely to occur in and around Chennai. Maximum and minimum temperatures are likely to be around 28 and 25 degree Celsius respectively,” Balachandran said. Meanwhile, as per INCOIS bulletin, waves with maximum heights in the range of three to four metres have been forecast for October 6-7 off South Tamilnadu coast. Ennore became the first station in Chennai city or suburbs to breach 100 mm rainfall this year. It has clocked a whopping 130 mm of rainfall ending 8.30 am on October 5. Is it south west or north east monsoon?Title is not correct. Not knowing what is Northeast Monsoon and Southwest Monsoon ; better close down your journalistic division.